The full drum sheet music for “You Shook Me All Night Long” by ACDC from the album Back in Black (1980). Phil Rudd plays his classic, driving style with creative crash accents and minimalist drum fill approach. This is a valuable lesson in playing for the song. The full drum sheet music for "Back In Black" by ACDC from the album Back In Black (1980). The full drum sheet music for "For Those About To Rock (We Salute You)" by ACDC from the album For Those About To Rock We Salute You (1981). The full drum sheet music for "Rock or Bust" by ACDC from the album Rock or Bust (2014). The full drum sheet music for "Dirty Deeds Done Dirt Cheap" by ACDC from the album Dirt Cheap (1976). The full drum sheet music for "T.N.T." by ACDC from the album TNT (1976). 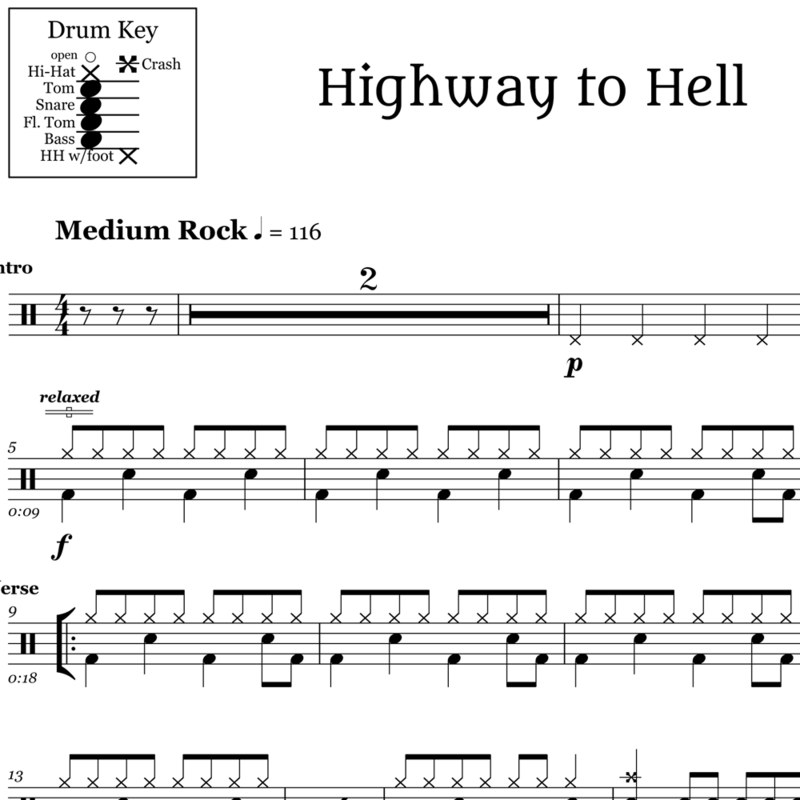 The full drum sheet music for "Highway to Hell" by ACDC from the album Highway to Hell (1979). 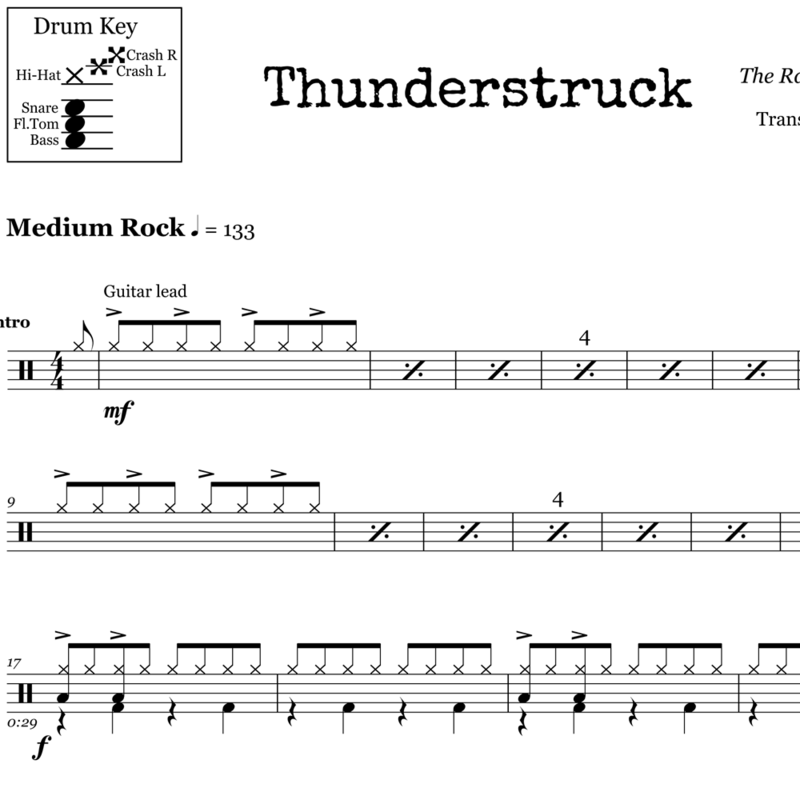 The full drum sheet music for "Thunderstruck" by ACDC from the album The Razor's Edge (1990).